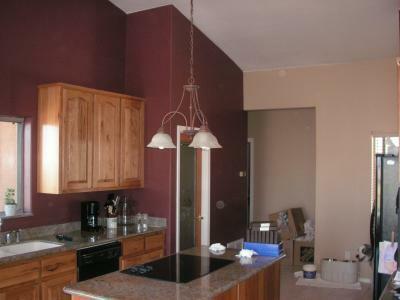 House painting is ultimately a building maintenance procedure. While many people think that interior and exterior painting in Chandler, AZ is a cosmetic extravagance, getting a building painted regularly can help it last longer. Paint acts as a protective coating for the wood in many ways. One of the biggest threats to the stability of any building is mold. Water damage can sometimes be difficult to prevent entirely, and many buildings struggle from mold infestations at some point or another. Many types of house paint can make all the difference in preventing mold. Mildew is another threat that many households have to face. The right house paint can be used to prevent mildew as well, thus keeping a building in proper working order for that much longer. Mold and mildew repairs can be exceedingly expensive. Businesses will often have to close their offices altogether in order to facilitate the necessary mold and mildew repairs. Getting the offices painted in the first place would have been significantly more cost-effective and convenient. Naturally, getting a building painted will also improve it aesthetically, so a paint job will have multiple benefits for homeowners and businesses. While house painting does certainly have expenses attached, getting major parts of a building replaced is certainly much more expensive. People that own large corporate buildings will have to accept that they will need to spend some money on maintenance. Homeowners that treat their houses as investments will have to nurture those investments in many different ways, and that can include setting aside the money for interior and exterior painting in Chandler, AZ. Our company can help businesses and homeowners maintain their buildings in style. We can give them the protective coatings that their buildings need. Homeowners and businesses will be able to get buildings that always appear to be fresh and new in the process.